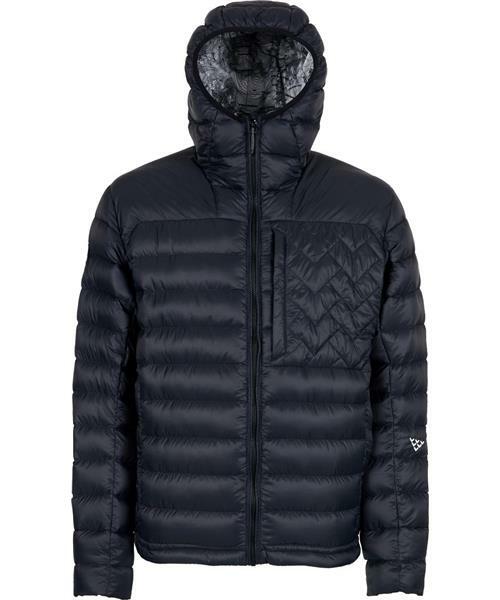 This small ultra-light puffer jacket in high-quality goose down will go with you everywhere: touring, freeriding, piste, après-ski and even away from the mountains. Designed for mountain skiing, it can be worn under a 3 layer jacket or as a light jacket, depending on circumstances. Folded up in its self-store pocket, it slips into the bottom of your backpack to keep you warm when required. In a classic black crows manner, its lining shows a map of the Mont-Blanc massif rendered in black and white chevrons.